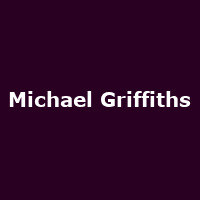 Michael Griffiths is a renowned Australian musical and cabaret singer who has featured in shows such as Jersey Boys, Priscilla - Queen of the Desert and We Will Rock You. "Michael's show "In Vogue" played a sold-out run at the Edinburgh Festival in 2013. In Vogue - Songs By Madonna' sees Griffiths embody Madge at the piano and use the Queen of Pop's back catalogue to take the audience on a witty and very funny journey through her life."